It's official, I've signed up for a new Design Team!! 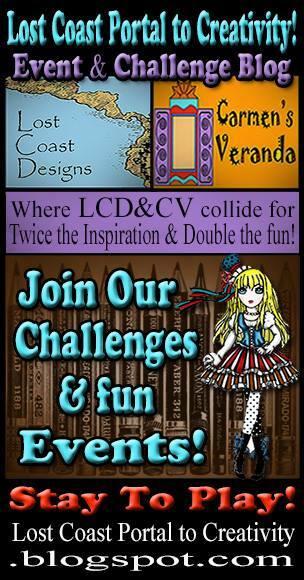 Lost Coast Designs and Carmen's Veranda! This company is a little different from my normal Florals and Gibson girls - But I love some of their stage eclectic artsy images - I have been using them for years! There are beautiful Vintage ephemera stamps and backgrounds. The quality is outstanding! There are two challenge a month with prizes too! Click the below and check it out! Meet the Creative Team and be inspired!